August is full of surprises for Tourists and locals! There’s a weekend for everybody and for every music genres! The 10th edition is ready to go full blast with a great indie and alternative setlist. Three days of intense dancing and singing are awaiting at Parc Jean Drapeau with big names like The Black Keys, Florence + the Machine, Weezer, Alt-J, Kendrick Lamar and many more. Should you be into heavier music such has rock and metal and every genres in-between, Heavy Montreal is your heaven on Earth. Slipknot, Korn, Iggy Pop, Faith No More, NOFX, Billy Talent and others will be sharing the stages over a three-day weekend. EDM and Hip Hop amateurs will love the second edition of the ÎleSoniq. To name a few artists: Blasterjaxx, Deadmau5, Azealia Banks and Die Antwoord will make you dance again and again at Parc Jean Drapeau. 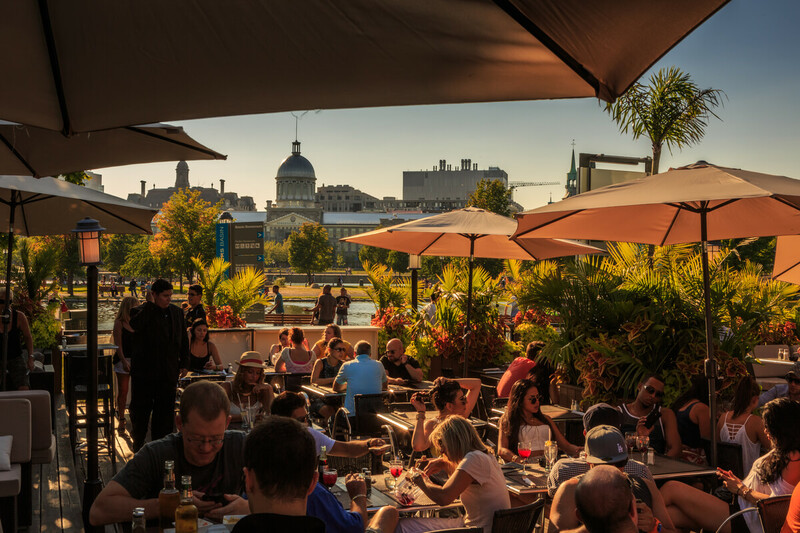 If you are not be a fan of electronic dance music, head over to the Old Port where the International Reggae Festival of Montreal will make you groove to the rhythm of peace and tolerance. If you want to get into the local scene, the Piknic Electronik is probably your best bet. This crazy idea born in Montreal and now expanding worldwide is always a favourite for locals. Every Sunday, the Piknic hosts many DJs so you may either dance or relax to incredible sounds in a one of a kind atmosphere. Tennis fans wait all year for the prestigious competition of the Rogers Cup. Montreal will again this year be the host of the men’s competition while Toronto will hold the women’s one. Get your tickets right now, the competition will be held from August 7th to August 16th at the Stade Uniprix. Hockey is a religion in Montreal and the Montreal Canadiens are a legend in this sport. Due to renovations at the Bell Centre, the Canadiens Hall of Fame will close permanently on August 30th. It is your last chance to visit and take the guided tour. Soccer has gained and incredible boost in popularity in the city thanks to our Montreal Impact. This month, four games will be played at the Stade Saputo by the Olympic Stadium: New-York, Philadelphia, Vancouver and Washington will battle against our local team. Already started since mid-July, Fantasia is calling all movie aficionados and intrigued people until August 5th. Every first Fridays of the month during summer time means a full stomach at the Esplanade Sun Life of the Olympic Stadium. Many food trucks will gather on August 7th starting at 4:00PM! The Village is an important neighborhood of Montreal. This year, the Montreal Pride Festival is happening under a yellow theme. Also, on August 16th (the ultimate day of the Pride), the well-known parade will start at 1:00PM on the corner of Guy and René-Lévesque. Photographers from around the world submit their best pictures to the World Press photo year after year. It is your chance to see the best of the 98,000 submission received at the Bonsecours Market starting on August 26th.